Whether pursuing a traditional ILR career or another path, the mission of the ILR School - “Advancing the World of Work” - touches all of our alumni. You help expand ILR’s reach through your diverse careers. 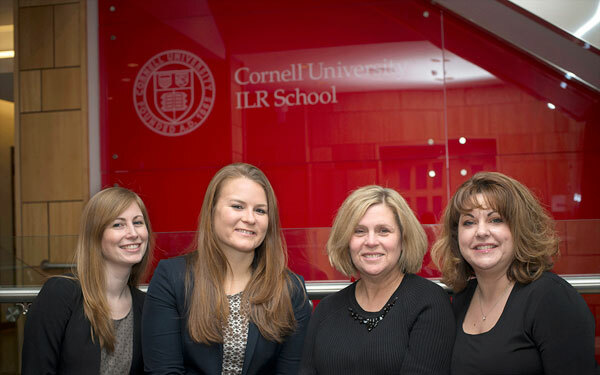 As ambassadors, you are telling the world about the ILR School every day. Our strong alumni community is important to ILR. Alumni are engaged in the work of ILR in meaningful ways by hosting ILR student interns, recruiting graduating seniors, guest lecturing in courses, sharing career insights as panelists, hosting alumni networking events, and as loyal donors whose contributions advance ILR. Our Alumni Association brings together all ILRies to promote the interests and welfare of the School. Sophomore Claire Ramirez talks about life as a ROTC cadet and as a student in the Cornell ILR in Vietnam program. Advocating for undergraduates, ILR students serve as a voice for their peers. Building on her ILR foundation, Niyyah Barber will enter a Stanford University program aimed at developing leaders who will work as a team on societal challenges.